The last fortnight has seen a massive rise and fall of cryptocurrency values. While this fluctuation is expected in any type of stock trading, in a decentralized market this takes away the trust of new comers. Stability and Security are two of the most important factors which come into play when dealing with cryptocurrencies or Altcoins. Bitcoin and Bitcoin Cash are opposite ends of a pole. While one claims to follow the word of Satoshi Nakamoto to the T, the other claims to take his idea and rise above it and hence, develop it further. What Satoshi would have wanted, well, guess we will never know. This mythical figure was very wise in keeping his identity hidden as any relation to race or country on a decentralized platform would have cast a shadow on it. 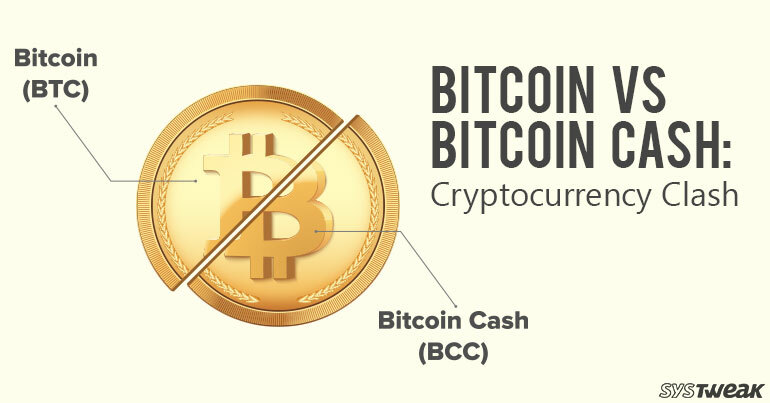 Irrespective of their individual views, let’s get down to knowing the differences between Bitcoin and Bitcoin Cash. It is a decentralized cryptocurrency. It has 10,000 nodes or blocks across the world. It also holds the most number of nodes in the cryptocurrency market. With a large number of 10,000 nodes which are decentralized and distributed worldwide, Bitcoin is potentially safe from a 51% Attack. It is hypothetically almost impossible for any hacker to take over the 51% mark of the blockchain on which Bitcoin is trading on. Having a mere 1200 nodes in total, Bitcoin Cash is very vulnerable to a team of hackers. To take over the board, they need 51% which is technically possible. The lack of security holds Bitcoin Cash back. Based on the idea presented by Satoshi Nakamoto, a Bitcoin block size is 1MB. Any type of upgrade on Bitcoin platform is undertaken with the help of polls which is inclusive of all the people. This offers transparency and curbs any form of random changes. With node sizes of 8 MB and talks of expanding the node size further, Bitcoin Cash aims to break the roof and surge ahead in technology. but, while these advancements are appreciated, the one drawback is, it does not offer any transparency while implementing any changes. No polls are undertaken and the people who are mining are usually clueless in regard to changes. Bitcoin and Bitcoin Cash offer things that the other doesn’t. The higher block size that Bitcoin Cash is offering shall lead to higher transaction fees. Bitcoin has created quite a buzz and shall eventually reach a mark where it is stabilizing, as more and more new entrants want to ride in on the ‘Bitcoin Craze’. They are both bound by their ideals and principles. Our opinions are not biased, but we believe Bitcoin is in the right. Share your opinions with us too.